187 foot long submarine that was being towed North to be scrapped. 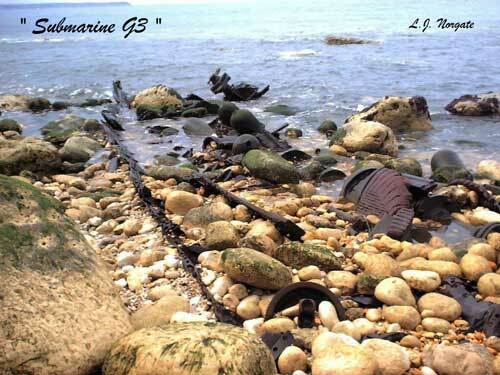 Today the mid keel and the remains of the two diesel engines remain visible at low tides. 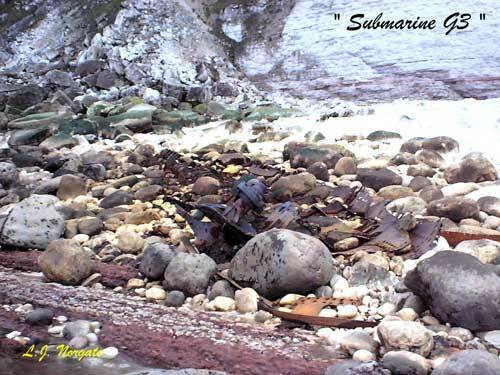 The wreck was surveyed in detail by us in June 2003 before the sea takes this unusual wreck away for good.